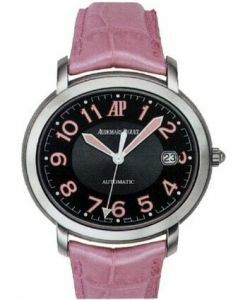 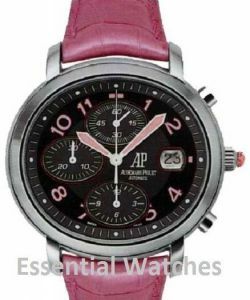 This watch is also known as: 77315OR-ZZ.D013SU.01 , 77315OR.ZZ/D013SU.01 , 77315OR-ZZ-D013SU.01 . 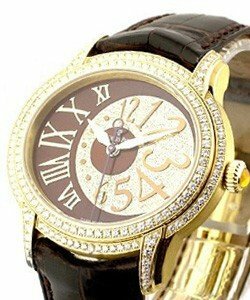 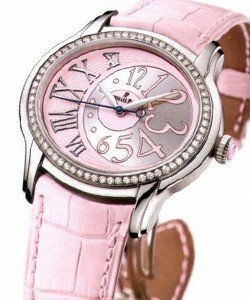 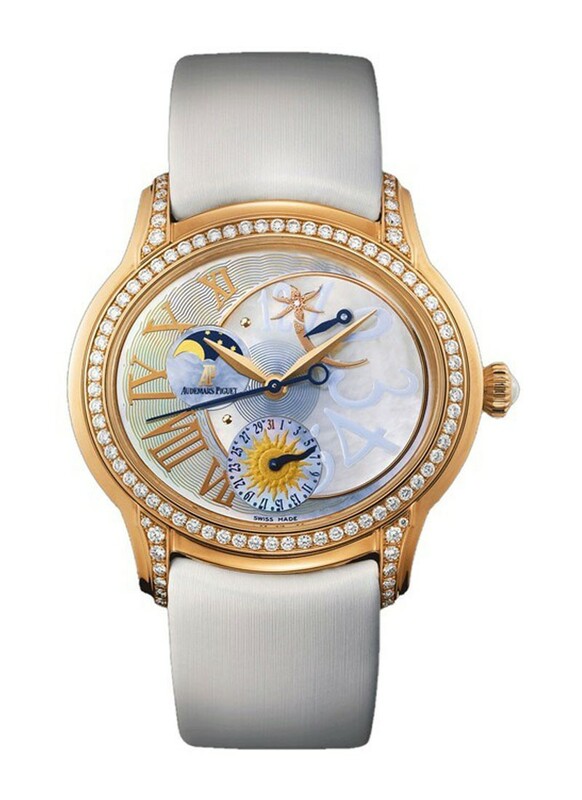 This Audemars Piguet Millenary Ladies Gem-Set Starlight Sky rose gold watch features a gorgeous "Day" themed off center mother-of-pearl dial with roman markers, and a stunning diamond set bezel in a 39 x 35mm case accented with diamond set lugs on a white satin strap. 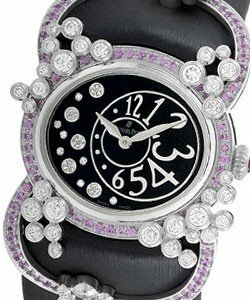 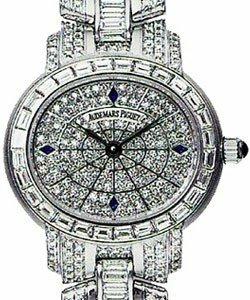 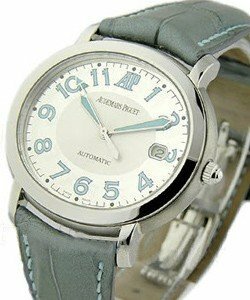 The Audemars Piguet Millenary Ladies Gem-Set Starlight Sky watch also utilizes a self-winding movement with moonphase, power reserve, and a date function.